It's Holy Week and this week is the peak season for fish. It is hard to find high-quality fish this week at a good price. If you like Tuna from Gensan, you would surely love to buy kilos of it at the newly opened Cfood Basket. 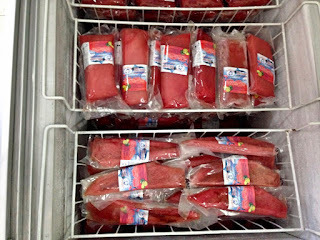 Cfood Basket sells tuna and other marine products from Noecil Fresh and Frozen Marine Product of Manny Pacquiao's hometown General Santos City. 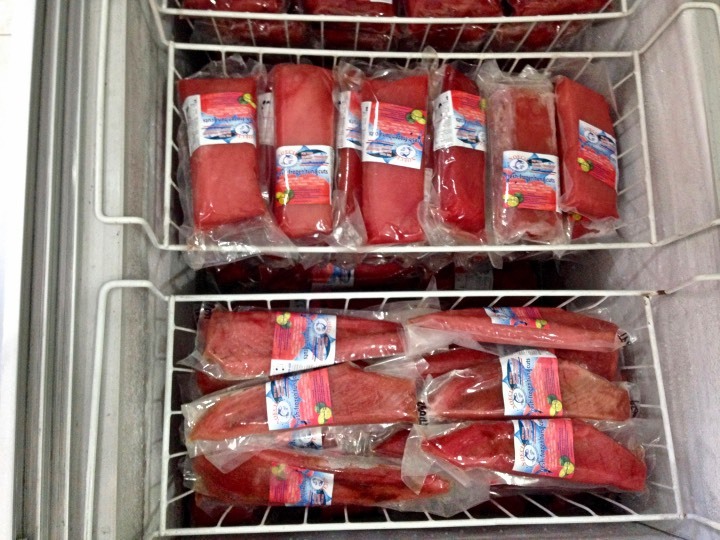 Cfood Basket sells popular Tuna products like Panga (jaw bone), Belly, Saku or Sashimi, Cubes, Steak, and buntot (Tail). Tuna is such a wonderful fish that you can eat it raw, grilled, fried, or in a soup. It is an awesome fish for SUTUKIL of Sugba, Tuwa, and Kilaw. 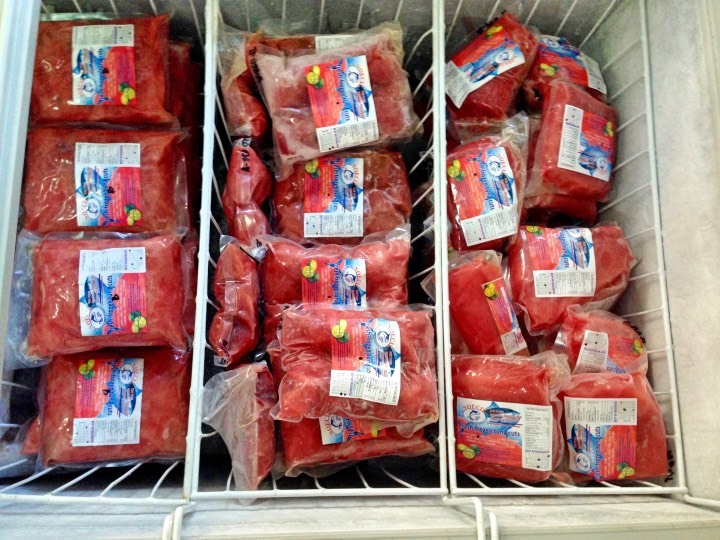 Aside from the usual parts, Cfood Basket also sells processed tuna, tuna bagaybay (sperm sac), tuna bihod (egg-filled ovary), salmon, pompano, and other varieties of fish. The price of their items is cheaper than the ones at the supermarkets. 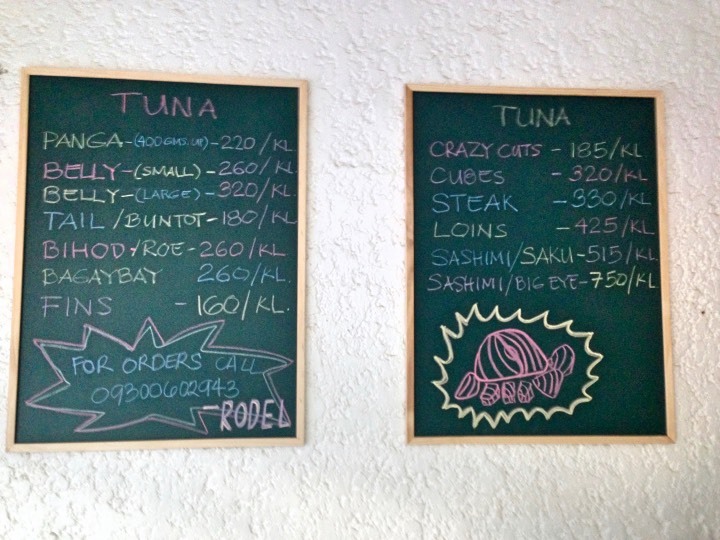 The store is also backed by a solid company from the Tuna Capital, General Santos City. I would definitely buy some tuna here in the coming weeks and cook it to my liking. My favorite ways to prepare Tuna is by grilling or kilaw (ala ceviche). I always love eating the meat under the bones of a grilled panga ng tuna. Local restaurant Orange Karenderia specializes in Fried Buntot, as well as, Tuna Sisig. I also tried Adobong Bagaybay and it was awesome. 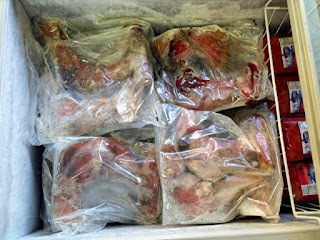 Some people love eating bagaybay and bihod as they believe that that these organs are aphrodisiacs. 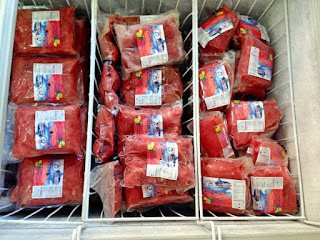 Tuna is such a versatile fish and it is an excellent alternative to red meat. What are your favorite Tuna recipes? Comment and Share it with us!!! 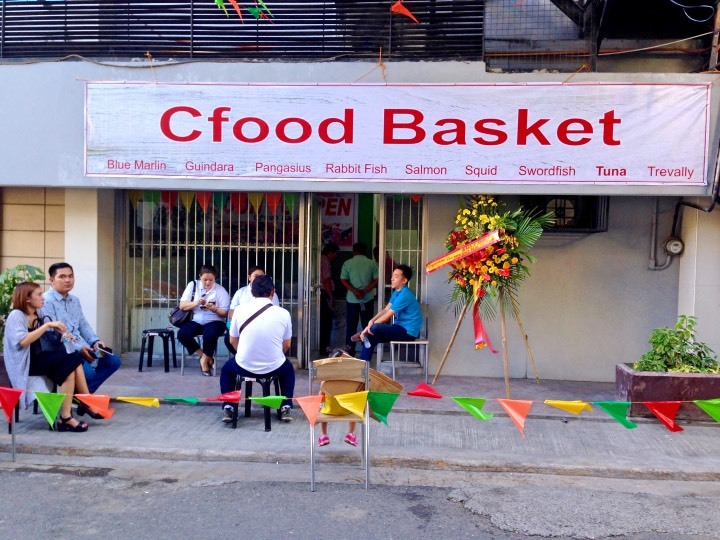 Cfood Basket is located at Archbishop Reyes corner Molave Street. You may call them at 0930-0602943.